By this time, he had already invented the highway code-based board game, “L’Autostop”, which was eventually released in 1951. With family and friends, he was now busy fine-tuning another driving-related card game inspired by the early 20th-century US game “Touring” as merged with the classic card game Canasta. The end-result was “1000 Bornes” (1,000 milestones), the name of the game referring to the length of the famous Nationale 7 road which stretches from Paris to the eastern tip of the French Riviera. Edmond Dujardin's Arcachon residence and the basement where the first units of 1000 Bornes were produced. The original “1000 Bornes” was released in 1954. The concept is simple: players are in a road race and each aims to be the first to cover 1,000 kilometres by playing distance cards, which form the main focus of the game. However, the deck also includes hazard cards, each of which hinders progress and is corrected by a corresponding remedy card. Special cards also enable players to override specific hazards throughout the duration of the game. An original 1954 set (kindly lent to me by my colleague Guillaume!). It possibly sounds more complicated than it really is. The general public certainly welcomed the concept with open arms and the game became an overnight success, somewhat overshadowing another Dujardin creation, “L’Autoroute”, which was also released in 1954. Initial production of the games was handled exclusively in Dujardin’s basement, but soon moved further up the road to premises which used to be a fish cannery. Dujardin’s team spent many days and nights scrubbing the floor and walls to rid the facility of the smell of fish! The former fish cannery in Arcachon. After Dujardin's departure, it was taken over by car spares specialist Daniel Teyssier, which has recently closed. Around that time Parker Brothers, the company behind the Monopoly phenomenon, came knocking and acquired publishing rights for the game in the US and Canada. Ironically, it was also Parker Brothers who distributed Touring (having acquired the rights in 1925), but with the shift to 1000 Bornes, Parker chose to discontinue the production of Touring. 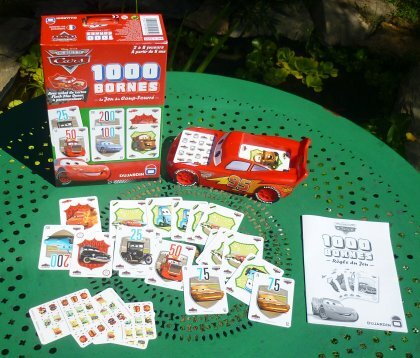 “Mille Bornes” (the name remained the same, with "1000" written as a full word) quickly sold 500,000 units in the US and 100,000 in Canada. 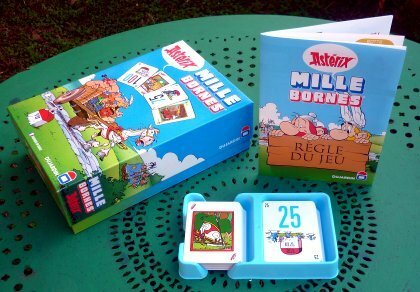 By the 1970s the Dujardin stable of games, which also included “Twixt” (conceived by the American games designer Alex Randolph), was well-established and 700,000 sets of 1000 Bornes were being produced annually. 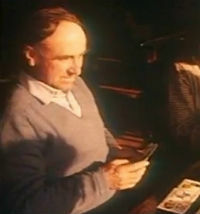 However, at the height of the company’s success in 1975, Edmond Dujardin died. Management of the company was passed on to his wife – who also soon passed away – and his son Patrick, who moved the 110-strong company to brand new facilities in a nascent industrial estate in nearby La Teste-de-Buch. The La Teste facility today. The main area is now empty but traces of the Dujardin name can still be seen, as can an emblematic milestone positioned by the gate! In 1981, the company was acquired by the Regain Galore toy manufacture and export corporation, who retained the Dujardin name. The Dujardin brand weathered the storm of the digital revolution and in 2007 was taken over by TF1 Games, the television company-backed enterprise best-known for producing (overseas-manufactured) board game versions of popular TV shows... the boxes of which now sport the Dujardin name and logo. The La Teste facility soon closed as a result of the deal, with Dujardin management and distribution duties relocating in 2009 to a new plant in Cestas, to the west of Bordeaux. The milestone of the company's logo is proudly displayed on the building there. Manufacturing of the 1000 Bornes sets is now carried out at a small plant in Saint-Pantaléon-de-Larche, near Brive-la-Gaillarde, 200 kilometres to the east. This workshop employs 12 people full-time, ramping up to 25 during the summer months ahead of the Christmas rush. The Cestas facility and the modern-day card game. Meanwhile, the game itself continues to be a staple on the games shelf of any self-respecting French household and the Dujardin brand has been given a new lease of life, even taking over competitors Michel, the company responsible for French children's favourite Le Cochon qui Rit. 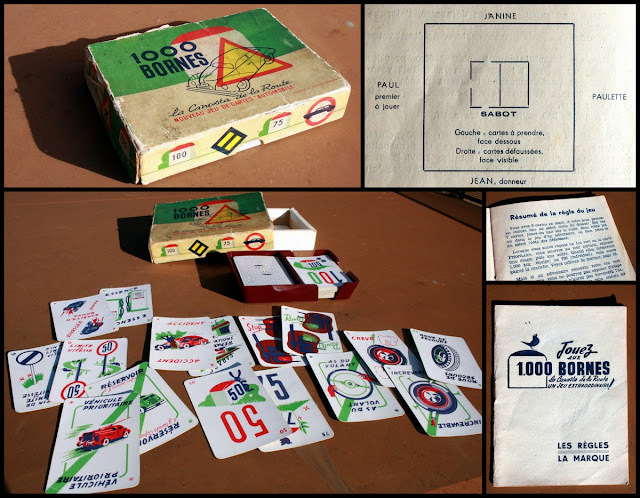 As for 1000 Bornes, while the rules themselves have remained the same since 1954, the concept has long-since expanded to include a successful board game version. 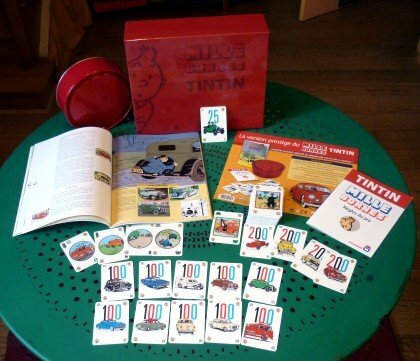 A number of special releases have been produced in recent years, including Asterix and Cars editions, and a well-received deluxe Tintin edition. Variants based on history, animals, inventions and vocabulary have also been released, along with electronic and smartphone versions. The name has even been licensed out to a scratch-card game (pictured above right). The board game version, complete with little cars, traffic lights and collisions. I enjoyed this photo session. 1000 Bornes has also made headway in other countries: the US version is now manufactured and distributed by Winning Moves Games under licence from Hasbro. Spaniards, Germans, Greeks and Italians also enjoy their own versions of the game. Meanwhile, the Dutch take on the game (“Stap Op”) is, aptly enough, all about cycling rather than driving! 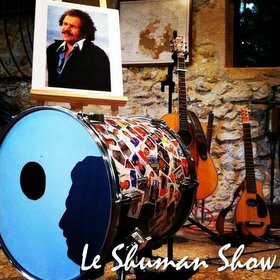 Whether Edmond Dujardin realised he would get so much mileage out of his basement project is debatable, but the game has certainly come a long way! 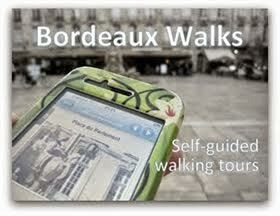 > Find them on the Invisible Bordeaux map: 63 Boulevard de la Plage/Rue André Carmagnat, Arcachon; 1051 Boulevard de l'Industrie, La Teste-de-Buch; ZA du Pot au Pin, Cestas. > Lire cet article en français ! > Completists may be interested to know that Edmond Dujardin is buried in row H of the municipal cemetery in Arcachon!